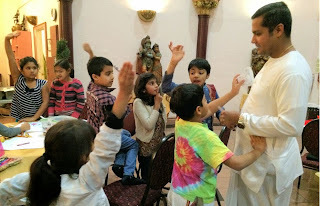 Krishna's Funskool ~ The Toronto Hare Krishna Temple! Would you like to have your children learn about Vedic culture in a fun-filled, hands-on atmosphere? If yes, then bring them to Krishna’s Funskool! 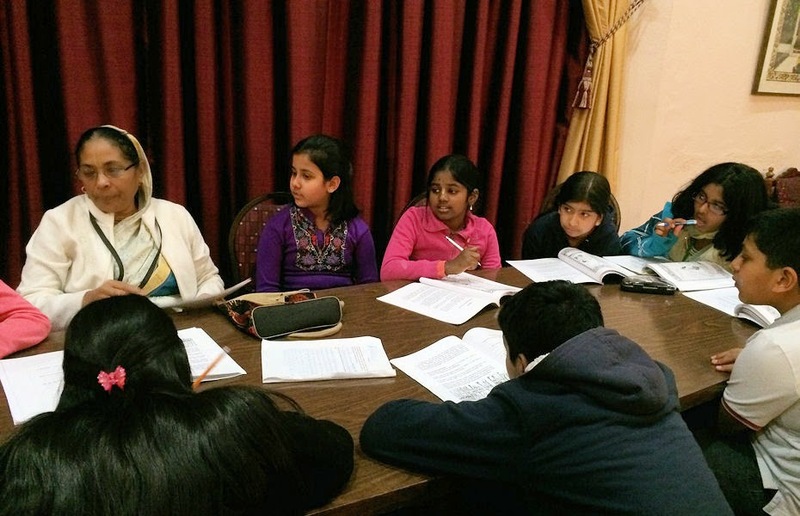 The Hare Krishna Temple in Toronto has been offering Sunday classes for children ages 4-12 for several years. 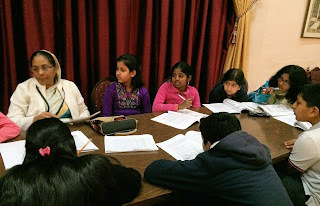 Lessons are based on the Bhagavad Gita, Upanishads, Srimad Bhagavatam and other Vedic literatures. 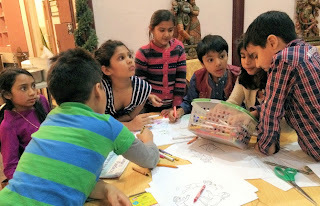 The Sunday School program is designed to give the children a rich experience of the Vedic culture. Classes are held every Sunday from 6:30pm to 7:20pm. Children will learn a variety of spiritual topics, including “Devotional Practices,” “What Makes Someone God?” “The Material World and the Spiritual Sky,” “Who Am I?” “Bhagavad Gita,” “Vaishnava Behavior,” and “Animals in the Vedas,”to name a few. We also learn Sanskrit Slokas, musical instruments and practical devotional service. performances on year-round festivals, such as Janmashtami, Diwali, Holi, etc. sporty and outdoor activities; and much more! No matter whichever activity it may be, your child is sure to love it! We hope you will take advantage of this opportunity for your children to strengthen and reinforce their Vedic upbringing. The students develop positive, spiritual friendships with other children and learn how to make Krishna consciousness part of their everyday life. For more information about registration or classes, please contact us at kids@torontokrishna.com.